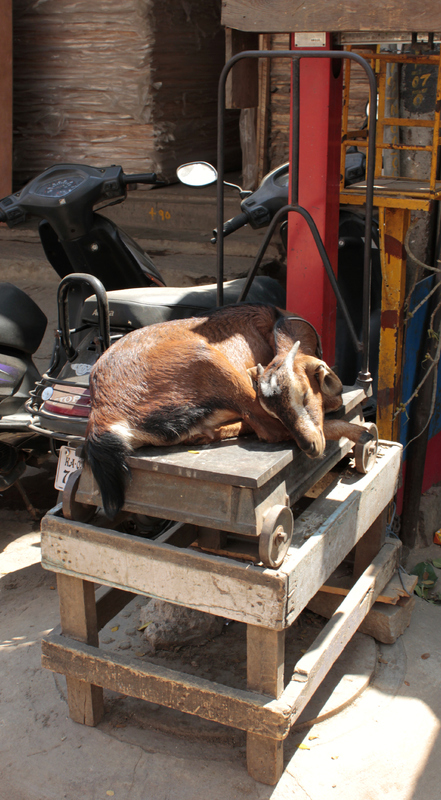 I found this goat on a scale sleeping unaware that the next time he is on the scale, he wont be breathing. Nice pic ! with a sting in the tail…..